Heads up! This post is sponsored by iHerb and they have a special offer for Garden Therapy readers at the end of this post. 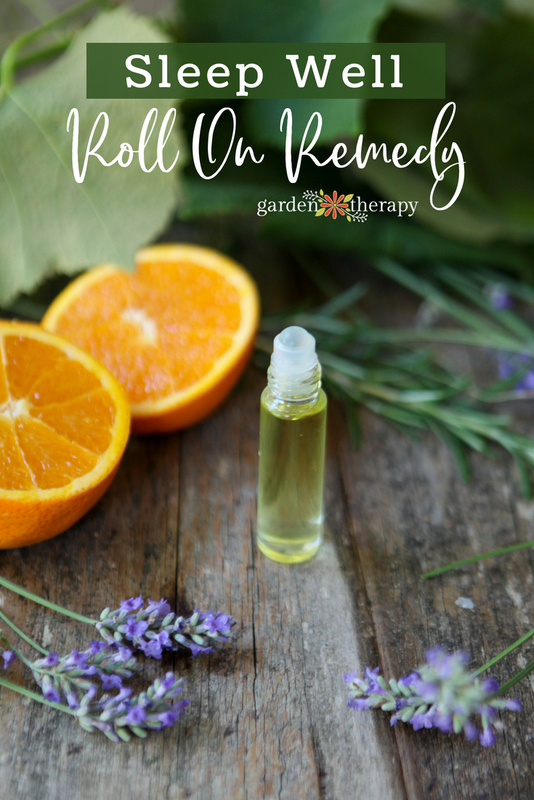 Roll-on remedies are a quick and natural first line of defense against common (yet super annoying) ailments: headaches, disrupted sleep, and cold and flu viruses. 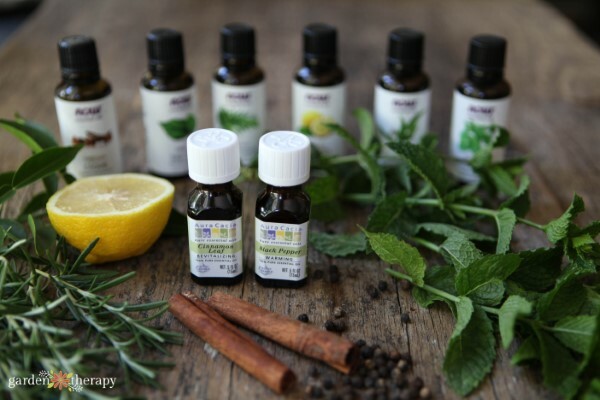 They use high concentrations of herbs in a gentle dilution of oil that are convenient to use. Today I’ll share the three recipes that I turn to so I can avoid popping pills. Somehow, I’m always surprised at the effectiveness of my homemade roll-on remedies. Even though I use a lot of essential oils and remedies on myself and with my family, still I have the tiniest jolt of awe every time they work. And why shouldn’t they? Herbal healing has been around for longer than me, or you, or Western Medicine for that matter. 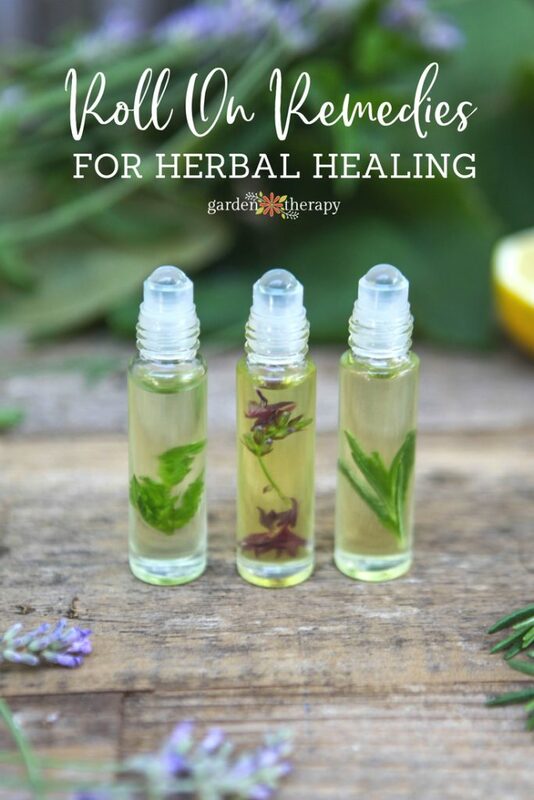 The power of plants is something that you can easily harness into a pocket-sized roll-on bottle to help with little ailments before they get out of control. As I mentioned, this post has been sponsored by iHerb, who also provided me with all of the oils to make the remedies. All of the opinions and recipes are my own. 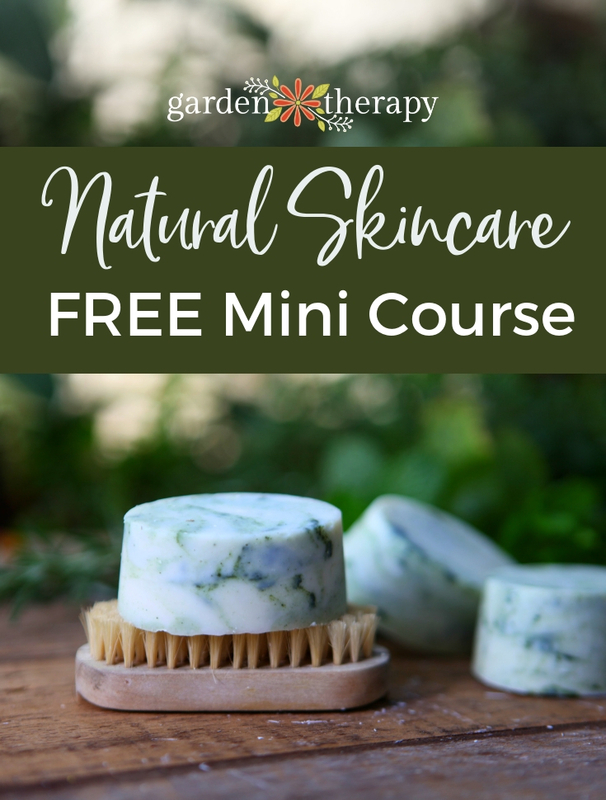 I am also participating in the iHerb affiliate program designed to provide a means for us to earn a small commission on sales. But they also have something just for you! 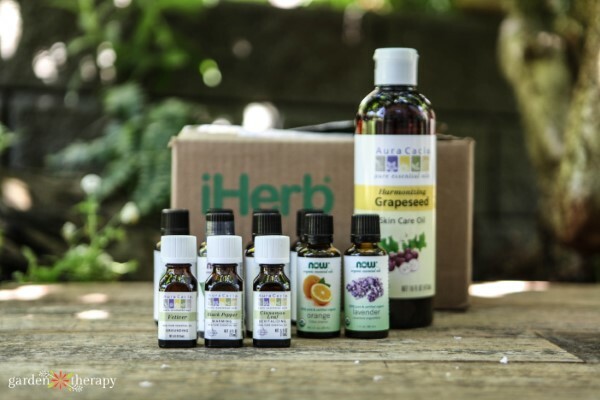 Customers can get a discount off their iHerb order by clicking here. There is no certification or industry standards for essential oil brands, meaning the quality of the products is all over the map. More expensive oils are not necessarily better. Some brands that have high price points have far inferior products than those with lower price points. Yes, ingredients are one reason for the price on the bottle, but that number is also influenced by marketing, customer demand, and supply scale, among other things. 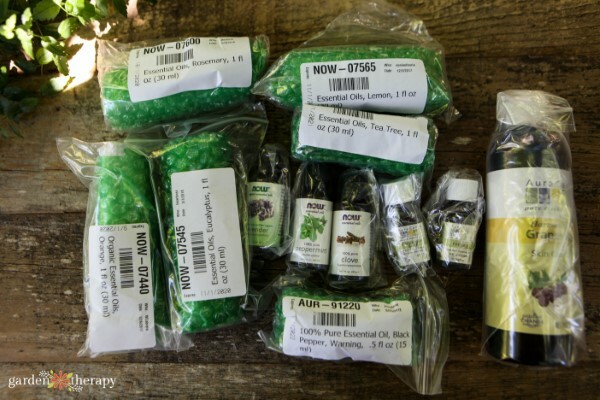 I used to bypass the inexpensive essential oils brands, thinking that they were poor quality, when in fact the price of brands like Aura Cacia is low because they produce so much that they are able to gain more economies of scale. That brings me to my shopping spree. I approached iHerb to sponsor this post because I really do love online shopping (so I can get it done and get back into the garden!) and they have a fantastic selection. I usually drive around town looking for the supplies I need to make remedies and plant-based beauty recipes, but I found every single thing on my list, plus a whole bunch more. iHerb carries over 30,000 products that can be shipped to over 160 countries. Plus, their Customer Service team provides support in 10 languages. As a Canadian online shopper, I found the shipping costs ($2!) and timing (>1 week) absolutely impressive. And look at how it was packaged! They are not joking around. So let’s put these oils to good use, shall we? 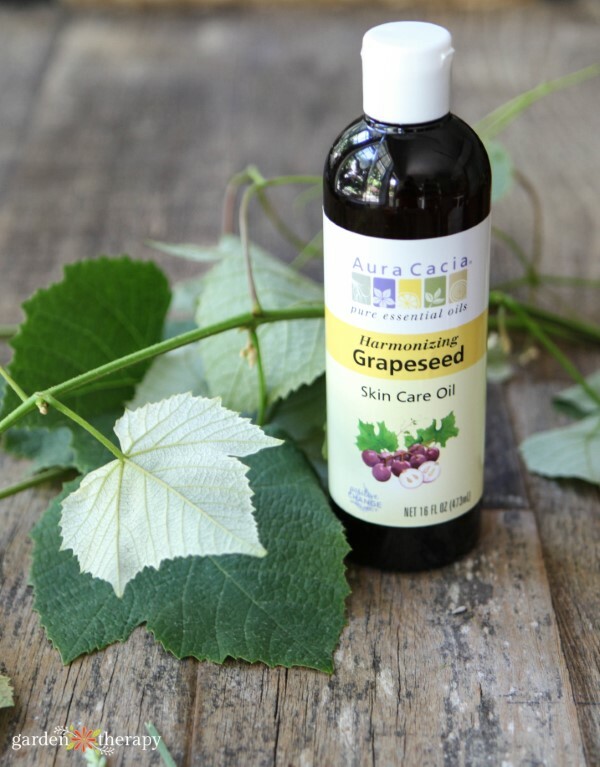 I made three of my favorite roll-on remedies from the essential oils and I used grapeseed oil as the carrier oil to dilute them. 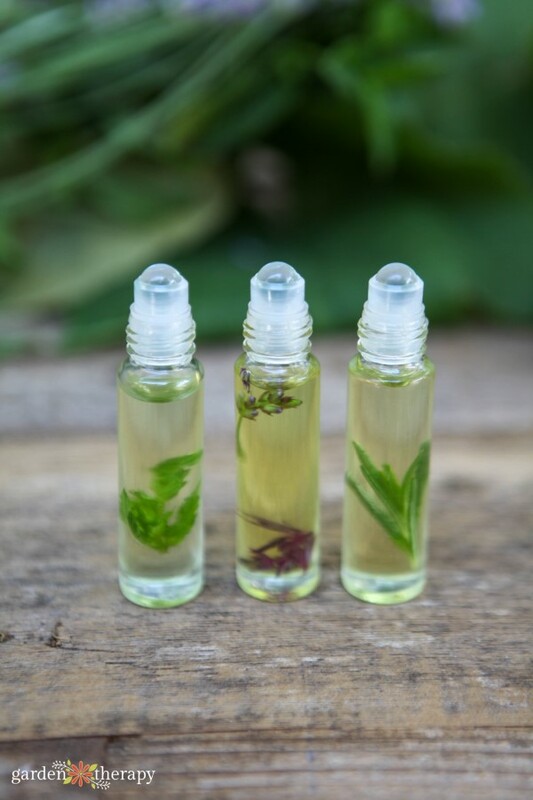 The essential oils all have slow-release dropper caps and the grapeseed oil has a small opening in the cap so no funnel or droppers were needed. 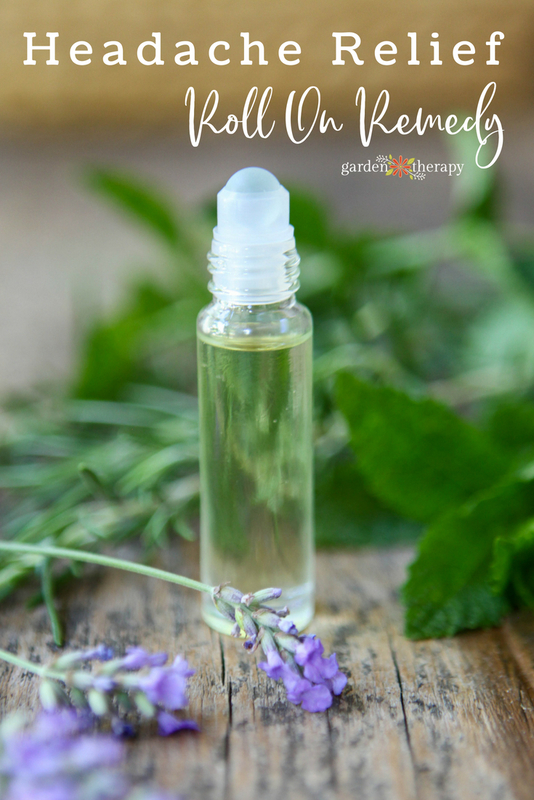 Add the drops of essential oil into the roller bottle and fill with grapeseed oil, leaving a bit of headspace for the roller cap. Pop the roller into the bottle and add the cap. When I first feel a headache coming on, I use this remedy to roll a halo around my head. Rolling it around my hairline from my forehead to temple, around the nape of my neck and back up to the starting point. If I catch a headache before it gets momentum, this remedy will help take it away. I apply this remedy before bed to help promote a restful sleep. I will usually roll it behind my ears, the back of my neck, and the soles of my feet. I also apply hand and foot lotion at night so I roll the ball in the palm of my hand, mix it in with the lotion, and then rub it into my hands and feet. This one has a lot more ingredients, but every drop is worth its weight in gold! Having gone through every single virus the last few years that my son was in daycare, I stopped getting 80% of them when I started using this combination. 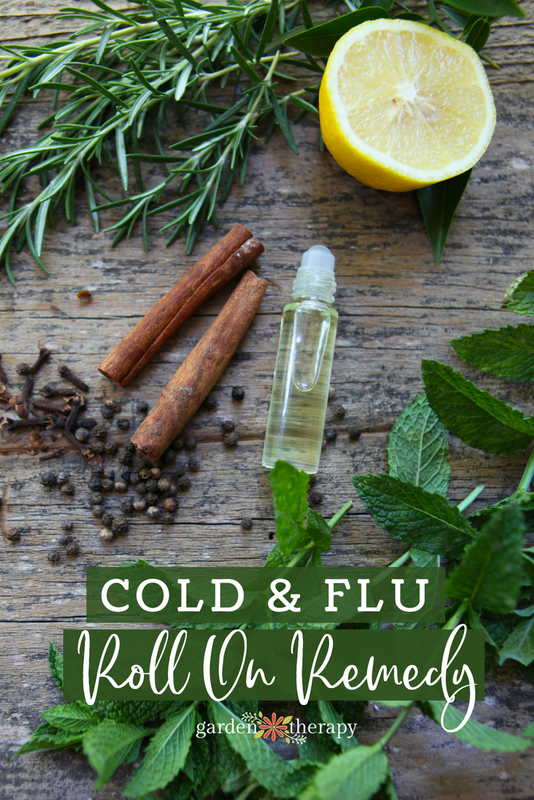 I apply this remedy in cold and flu season and when there is a virus going around. I will usually roll it on my chest and the soles of my feet. I also use it as a hand sanitizer when I’m out in public and can’t wash my hands. 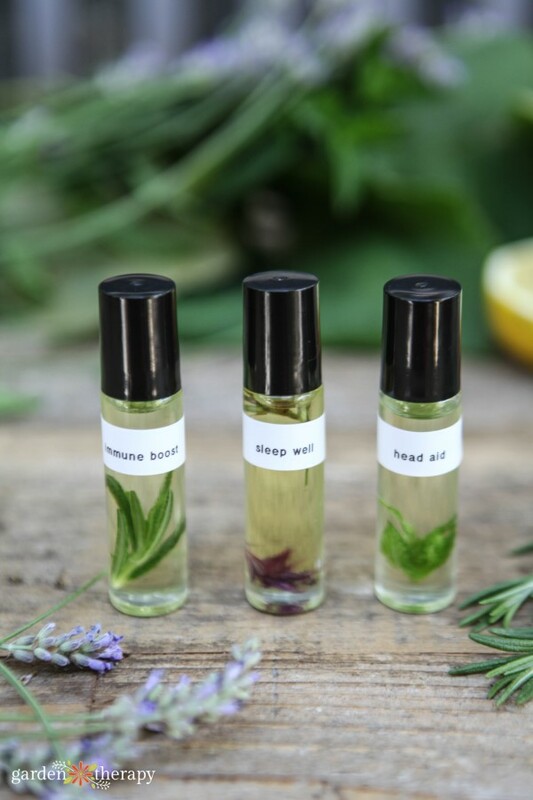 For fun, I added in some fresh herbs to my roll-on remedies to help me remember which one is which. I added a tip of young rosemary to the cold and flu remedy, a few small peppermint leaves to the headache remedy, and small lavender flowers on the stem plus some purple Centaurea Classic Artist Mix petals (because lavender doesn’t hold its color in oil but Centaurea does) to the sleep remedy. But…you can go a bit more traditional by using a label maker to identify the name of each of the roll-on remedies, too. Thank you to iHerb for sending me all of the oils to test out. Don’t forget, all customers can get a discount off their iHerb order! Great post!! Like you I use rosemary in my migraine mixes. Itsvthevonly one that works for me. 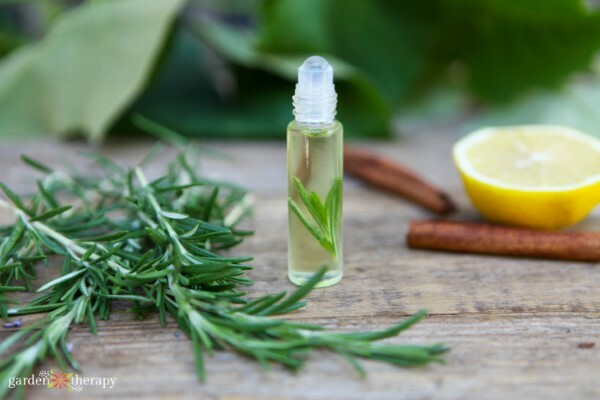 I do want to mention that rosemary eos should not be used for children at all and Peppermint/Eucalyptus should never be used for young children as it can affect their respiratory systems. (Peppermint has a high amount of menthol, and some chemotypes of Eucalyptus and Rosemary have high amounts of 1,8-Cineole, which are not safe for use around children.) I use separate rollerbottle and/or a inhaler for myself. Personally I use another company (not mlm’s) that’s affordable and has a line of child safe oils designed by Robert Tisserand. I have used some of Now & Aur Cascia oils when I don’t have time to order as the health food store carry them locally. There are some great recipes here – can’t wait to try the cold/flu one this fall. I never thot to add herbs to them Great idea!! I’ll go check out iherb. I need some sweet almond oil!! We unfortunately lost our local Rocky Mountain Soap Company shop here in Victoria and they make a really effective headache roll-on. I probably can order online but prefer supporting businesses locally where I can. However making my own is something I’ve been thinking of. I’ll have to try your recipe. I kept the roll-on bottle so I can reuse that. 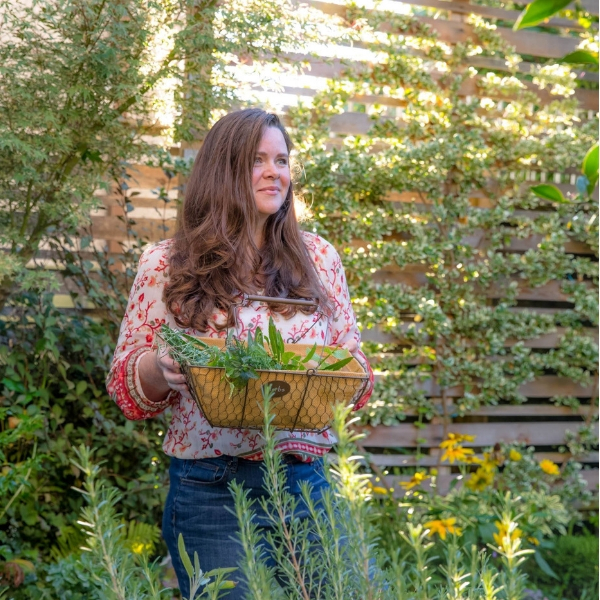 I grow my own rosemary, lavender and mint so wondering if it is worth trying to make my own essential oils as well from the herbs?